DESCRIPTION: I wanted to create a title that filled up almost the entire page! JOURNALING SAYS: I hope that you will always live for adventures and traveling the world and experiencing new things in places far far away! 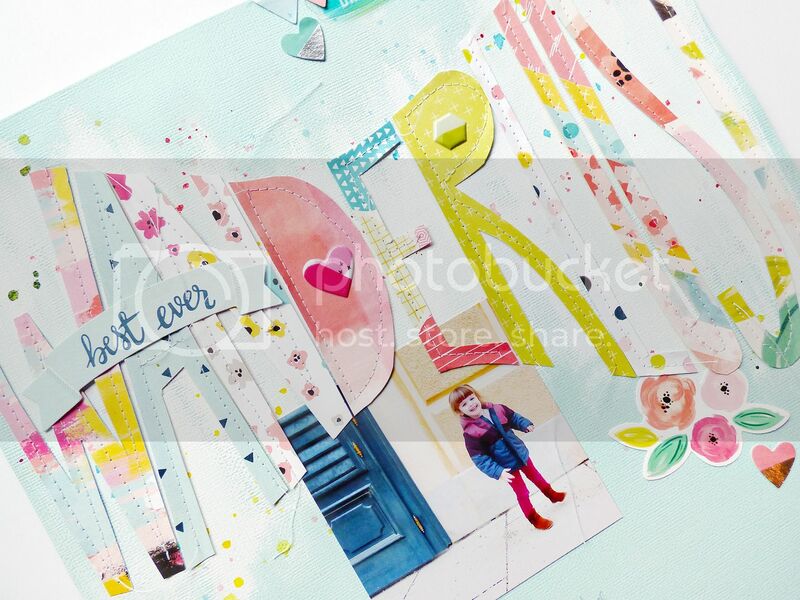 HOW TO: On a robin's egg blue cardstock background, paint white across the top and when it dries splatter watercolors over it. On a scratch piece of 12x12 cardstock I hand drew "WANDERLUST" and then used the letters as templates for hand cutting them from patterned papers. I stitched the letters across the blue background. Tuck a photo under the title and journal below. 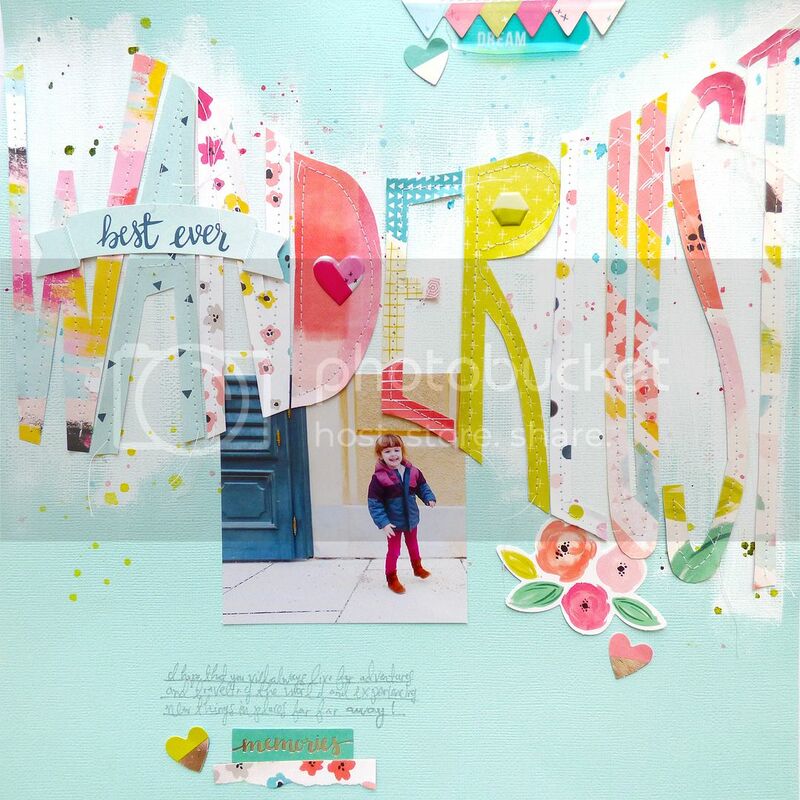 Embellish with bits and pieces across the page. Love your Layout. It's fantastic. Love love love this! LOVING that the title is handwritten!! That is awesome! And that photo of Jane is ADORABLE!!!!!!!!!!!!!!!!!!!!!! Stunning title, paint and cute photo!